We always have that “one foreign film” to top it all, don’t we? Continuing the tradition of extraordinary films like The Lives of Others (2006), 4 Months, 3 Weeks and 2 Days (2007), this year we have an Israeli flick Waltz with Bashir. Already a winner of the Golden Globe for the best foreign film of the year, the film is all set to make it big at the Academy Awards late next month. Director Folman dedicated the Golden Globe to all the babies that were born during the production of the film and desired that when they watched the film in the future, they should think of the film as an ancient video game. And indeed, Waltz with Bashir is a sincere attempt to come to terms with the mistakes of the past. 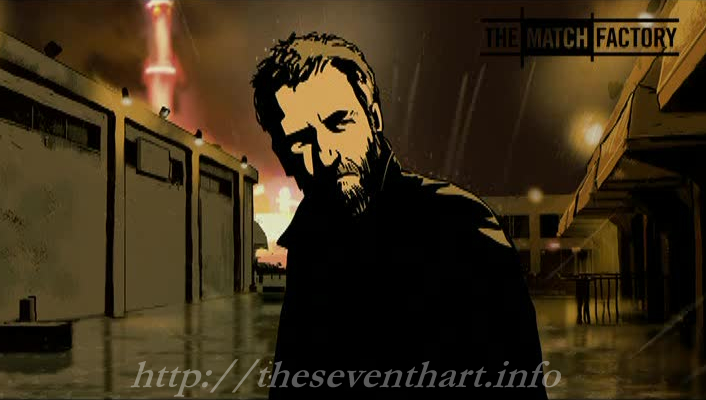 Waltz with Bashir takes place 20 years after the “purging” operations of the Israeli army in Lebanon. Ron is one of the soldiers in the war who is leading a peaceful life as a filmmaker now. One gloomy night, after he hears about the strange dream that haunts his friend, Ron decides to dig up his past. This takes him to various places across the globe as he gradually recovers his memories of the fateful war. There is considerable romance in the events of the war, with Apocalypse Now – like celebrations of destruction. Men come, men go; No one recognizes the other completely, but each one has a story to tell. Each one has a version of the war. We are presented many POVs as Ron continues inquiring his role in the war. He isn’t happy about what he is discovering. But the thirst for truth keeps him going. Waltz with Bashir presents a great paradox now. One that all of us carry with us in one form or the other. One that uniquely characterizes the human intelligence. A paradox of memory. When you want to forget something, your mind does not let you. It keeps coming back to haunt you until you confront it for good. And when you want to remember something desperately, the same memory starts playing tricks with you. It cooks up some mutated form of the past combining elements of truth and fantasy. Ron seems happy with his filmmaking business until the inevitable shadow called past catches up with him. He realizes the need to remember. But no one lets him – neither his own mind nor his friends’. Early on, Ron’s psychologist friend tells him of a memory experiment where people were found to accept small deviations from reality as reality itself. Similarly, everyone seems to have settled into some form of comfortable reality in order to barely escape from the horrors of the past and yet remember their years in the war. Unwilling to strike a balance between the need to document and the need to forget, Ron decides that he has to know what happened and not speculate. It is but natural to be reminded of the previous year’s fantastic film Persepolis, for both employ animation to address issues of very high importance. Persepolis, using its childlike animation effectively along with its monochrome, presented one girl’s quest for identity and her abstraction of the ever-changing world. Marjane’s fantasies of a fairy-tale childhood are slowly corrupt by the knowledge of the harsh realities of the war-torn world. The ever-unsafe world prevents her from carrying on with her illusions of undisturbed happiness. Waltz with Bashir, on the other hand, is an account of one man’s struggle to recollect the past. It sort of reverses the structure of Persepolis and presents us a man who attempts to recall reality exactly as it happened. Ron does not want to concoct a “safe version” of reality that remains tough enough to reflect truth but comfortable enough to be complacent about what happened. In essence, Waltz with Bashir asks us to confront reality– without any pretense and escapism – and get over with it once and for all. And this, in my opinion, is the film’s greatest success. One can’t entirely say that the film does not take sides. True, it is told from an Israeli point of view and yet comments on the atrocities done towards the Palestine refugees in Lebanon, but the Lebanese evangelists won’t be happy with the depiction of the massacre. However, this can not be considered a blatant caricaturing of them. Waltz with Bashir takes just a single event from the war – the refugee camp massacres at Sabra and Shatila – and questions the appropriateness of that event alone. Yes, it does take a stand there and it does condemn the way things unfolded on that dreadful day. But that’s about it. It does not extrapolate the incident to judge the present political policies of either country or even question the motives of the war that it depicts. It is as if the film isolates the lone event in order to denote the sheer enormity of it all and to show how such unwarranted acts of violence have a deep impact on the psyche of an individual and of a nation. I can’t complain on the technical grounds either. The animated characters are deliberately out of sync with their environment, which gives the film a kind of surrealism that is in tone with Ron’s recurring dream. The dubbing is spontaneous with even mistakes finding their way into the film. The narrative proceeds non-linearly never once going over the head. But these are just the secondary reasons that make the film stand apart. In an age which is plagued by over-sensitivity towards issues such as racism, communalism and war, films such as Waltz with Bashir (and the surprise winner Gran Torino (2008) appeal for an acceptance of these issues as it is and to deal with them without much fuss. And that is a reason enough for me to cast my vote for Waltz with Bashir. The first comment on this epic movie nearly two years after the review? Surprising. Personally, I was just astounded at the movie and the use of the medium for conveying the message. Be it the reiteration of how the massacre was like slaughtering animals (the first sequence & the one showing the civilians being transported in caged vans), or the absolute haplessness of the individual trooper in a war zone it captures the plight of the individual against the overarching power of the state and in this specific case, the army. Over at culturazzi, Satish seemed livid that this picture needed to be live action and not animation, but I think, Folman gives us the rationale first up when his friend in Netherlands says something to the effect of ‘it is okay as long as you draw it and not capture it on camera’. It might have even been the actual request from many of those whom he interviews. Besides, I believe that live action for a subject like this is bound to raise a lot more vicious reactions and reignite old wounds more than animation does. It does allow us to remain a little distant from the happenings, a kind of a protective warp. The way that the story is built up also introspects on the basic human trait of memory. The point that one’s memory and truth may not always be perfectly co-related and , on a larger scale, how written history and actual events are just products of a collection of recollections is forcefully conveyed. The scene where the commander asks his troops to look out for a red mercedes, seems to be like ridiculing Bush and his WMD harpings. In your essay on Hey Ram, you had mentioned about not one scene or dialogue being wasted, and I think the same can be said about this ‘movie’. Not even an inch of space on the screen has been wasted, with each scene and the background being constructed to spark a thought in the viewer’s mind. Mind blowing!